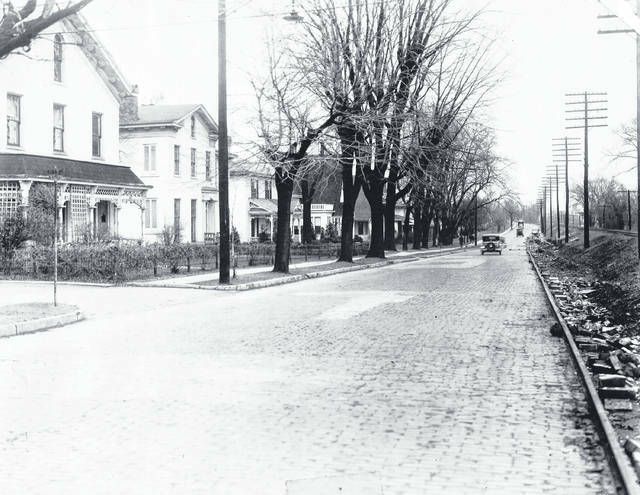 Courtesy of Greene County Historical Society Cars drive down North Detroit Street past King Avenue, about 1931. Just to the left out of the picture would become the current Huntington Bank. Cars drive down North Detroit Street past King Avenue, about 1931. Just to the left out of the picture would become the current Huntington Bank. https://www.xeniagazette.com/wp-content/uploads/sites/32/2018/07/web1_Detroit-at-King-Ave-n.jpgCourtesy of Greene County Historical Society Cars drive down North Detroit Street past King Avenue, about 1931. Just to the left out of the picture would become the current Huntington Bank.